Salum guides a hive to the ground. Mohamed stands in the jungle. Ali tastes a honeycomb he has harvested. Mohamed poses for a portrait. 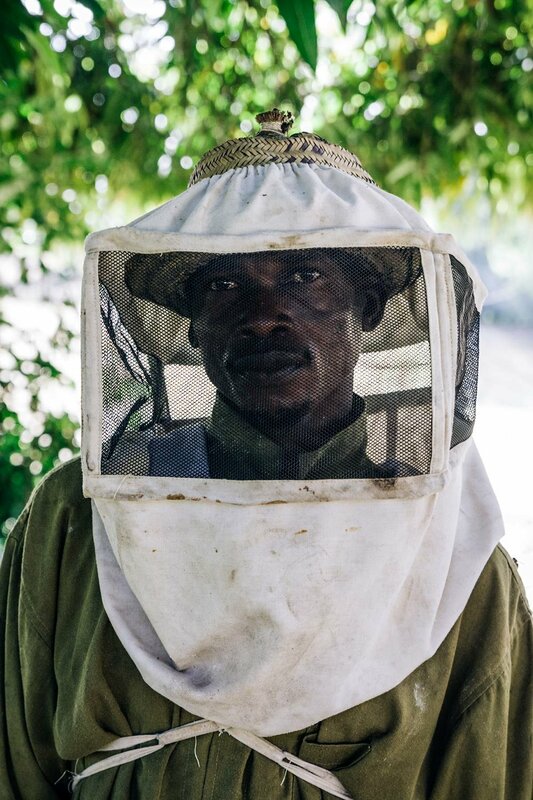 Ali harvested eight liters of honey last year and expects to double that amount as he harvests in the next few months. Shaame burns dried papaya in the bee smoker to calm down the bees. 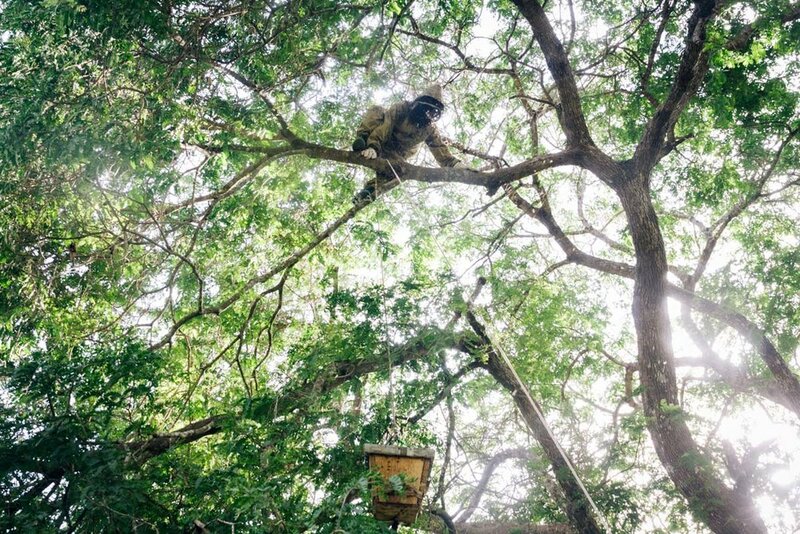 Juma pulls a beehive back into the tree after checking it for honey. Salam, Juma and Raymond walk towards their beehives. 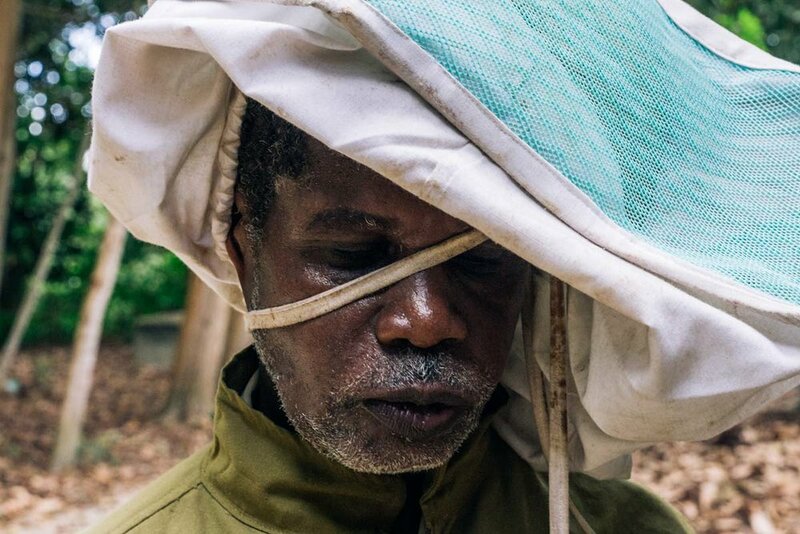 Hundreds of bees swarm around Salum as he and a partner check on their hives. Ms. Mtumwa is learning to become a beekeeper. 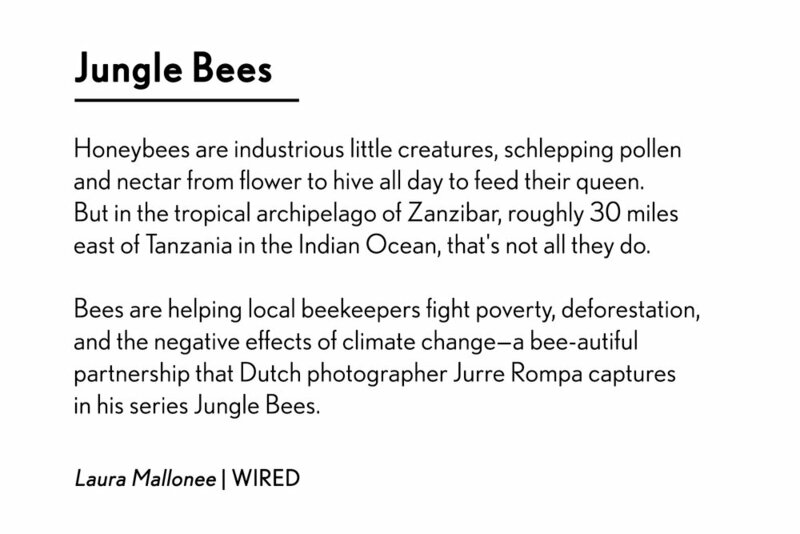 Barefoot College Zanzibar focuses on teaching women to tend hives. Here, three women walk back to the training center after checking the beehives. 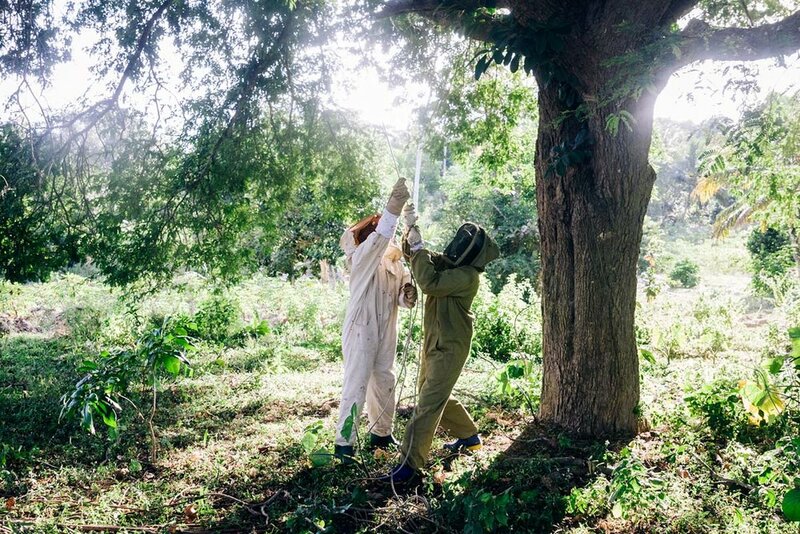 Raymond and Juma remove the rope from a beehive after lowering it to the ground for harvesting. Bees cover a langstroth hive. 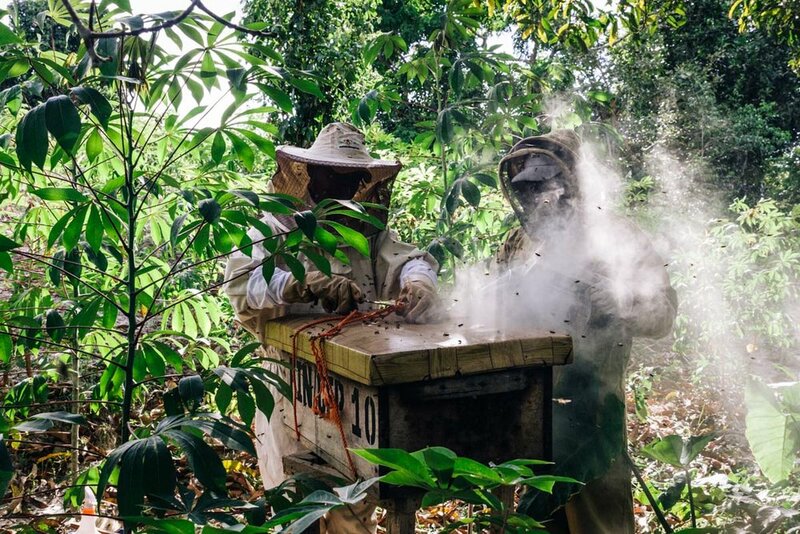 Community Forests Pemba provides local beekeepers with hives at a subsidized cost of $7. 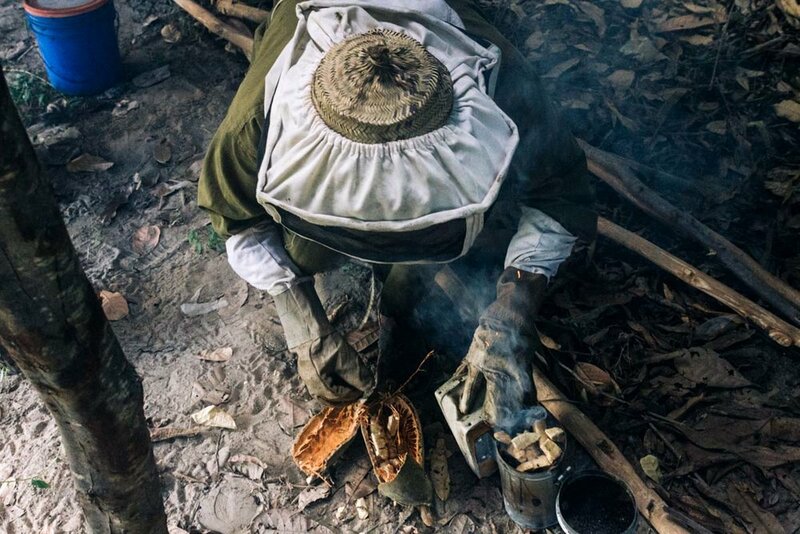 Traditionally, beekeepers in Zanzibar made hives from hollowed out logs. 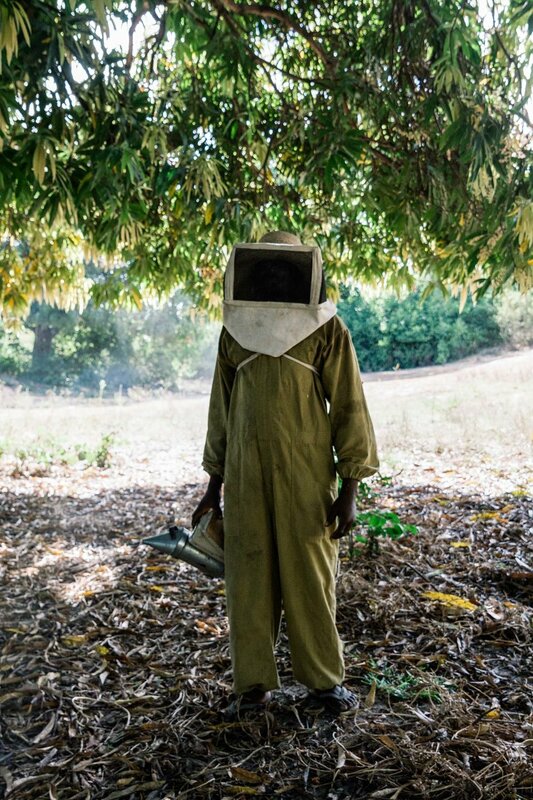 Community Forests Pemba has trained 280 beekeepers on Pemba, Zanzibar's second largest island, since 2011. Here, beekeeper Raymond Kilongo walks home to his farm after a busy day harvesting honey. 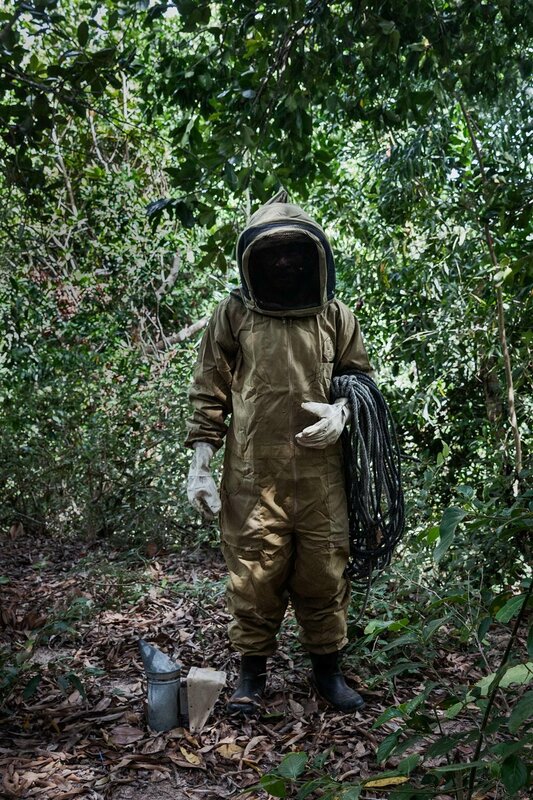 Salum surrounded by bees, lowers a hive to the ground.